Get the 5-page Guide Today for FREE! Enter your name and best email address to get the FREE guide! You're in! It's winging its way to you now....give it a few minutes and it will land in your inbox with a big smile! I absolutely HATE SPAM so you don't have to worry about your privacy. I do not share or sell your information. 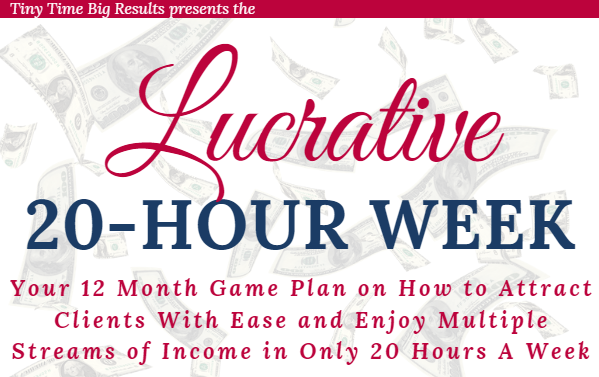 As well as getting the game plan, you will also receive my weekly newsletter where I share strategies and ideas on how you can have a profitable 20-hour week business so you can enjoy life, cuddle hard and laugh lots!